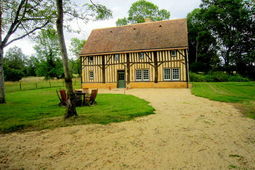 Self-catering Gîte with 10 bedrooms and 4 bathrooms. Sleeps 16. Non-applicable changeover. Self-catering Gîte with 1 bedrooms and 4 bathrooms. Sleeps 10. Saturday changeover. 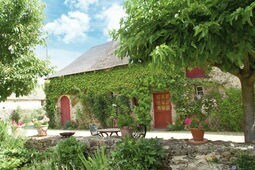 Self-catering Gîte with 10 bedrooms and 6 bathrooms. Sleeps 20. Non-applicable changeover. Self-catering Villa with 3 bedrooms and 2 bathrooms. Sleeps 9. Saturday changeover. The beauty of the Loire region is legendary with its fairytale chateaux and ancient walled towns, its forests, river valleys, wine, food and mild climate. It stretches inland from the north west Atlantic coast as far as Le Mans, famous for Grand Prix motor racing, and beyond into the neighbouring region of the Loire Valley. The River Loire flows from the foothills of the Massif Central to its mouth near Nantes in the pays de la Loire. The city of Nantes is the capital of this region of France and stands on the banks of the Loire upstream from La Baule, a popular coastal town with a fine beach, cafes, bistros and casinos. Nantes is a mixture of old and new with a fine old quarter, where you can walk through narrow winding streets past half timbered mediaeval buildings. The Ducal Castle was where the Edict of Nantes was signed in 1598, giving freedom of religious belief to non Catholics in France, and houses two museums. Don't miss the Talensac market, open every day. The Nantais vineyards begin on the outskirts of the city and lie mainly to the south. Visits and tastings are welcomed. The old town of Ancenis has become a wine centre in recent years and is surrounded by wine villages. Angers is about thirty miles along the river from Ancenis and is dominated by its great castle. A herd of fallow deer live in part of the moat, now dry and there is a fine collection of tapestries on display. The town itself has many beautiful timbered and carved buildings and narrow streets dating from the 15th century. Nearby there are many chateaux to visit , Serrant, to the west on the N23, is one of the finest in the Loire. Saumur is the home of the famous riding school (the Cadre Noir) founded by Louis XV. Just outside Saumur is St-Hilaire-St-Florent, the best place to taste the regional wine. There is a museum devoted to mushrooms and the National Riding School is next door. There are good stews such as conger eel and white fish cooked in garlic and white wine with potatoes and matelote, different freshwater fish with onions, mushrooms and wine. As you travel through the region, fish dishes give way to meat and game, pork with plums and cream, stuffed cabbage with hare, partridge with wild mushrooms. Vegetables are used in abundance, a variety of salads and charcuterie, potato cake, duckling with tiny fresh peas and baby turnips, pumpkin pie, asparagus. There are many cheeses worth trying, made from goats, sheep's and cows milk. Bondaroy au Foin, a soft cows milk cheese with a tangy flavour, cured in hay, Chabichou Fermier, a strong cone shaped goats cheese, Crémet, is a mild creamy cows-milk cheese, often eaten as a dessert with jam or fruit. Olivet Bleu, is a rich blue cheese, wrapped in plane tree leaves, and there are numerous others. Good swimming and sailing on the coast, and hire boats, on the inland rivers. There is excellent fishing, particularly in the Mayenne from the 1st of June - 30th September. Permits can easily be arranged through local tourist offices or tackle shops. Buggy racing, le trot, is a favourite country sport in the Mayenne and is lots of fun. It is great riding country too and horses can be hired for an hour, a day, or for several days both here and throughout the region. Families with children are welcomed and well catered for. Golf courses are easily accessible and inexpensive. There are markets in all towns and villages on different days of the week and numerous festivals throughout the year. A maritime climate, which can be cool, drizzly and windy in winter, though it seldom rains all day. Generally warm in spring with temperatures often reaching 30 plus degrees through the summer and a warm late autumn.